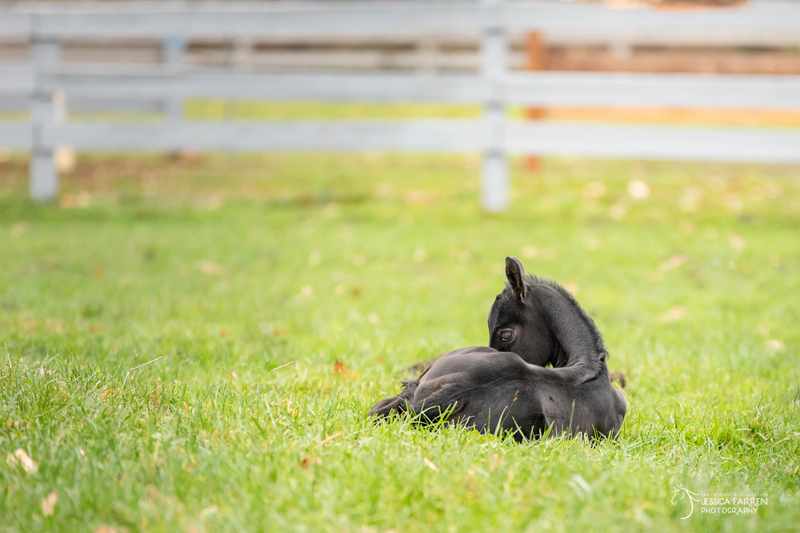 Jessica Farren took these lovely photos of Mina and Rae enjoying the great outdoors. 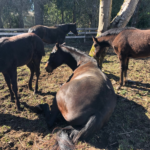 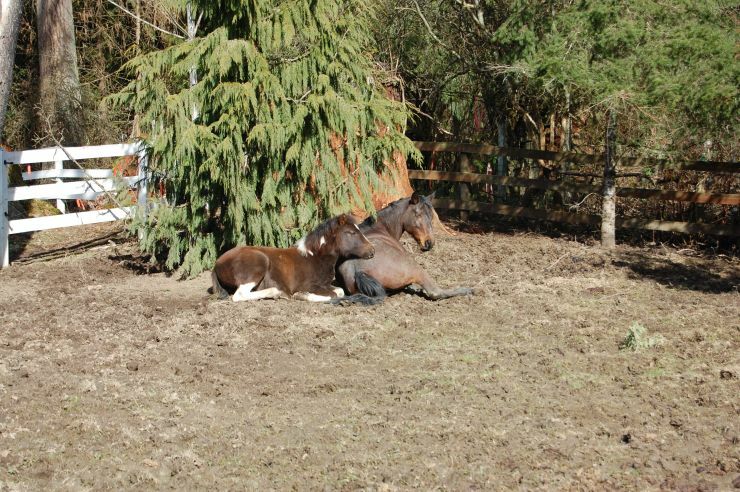 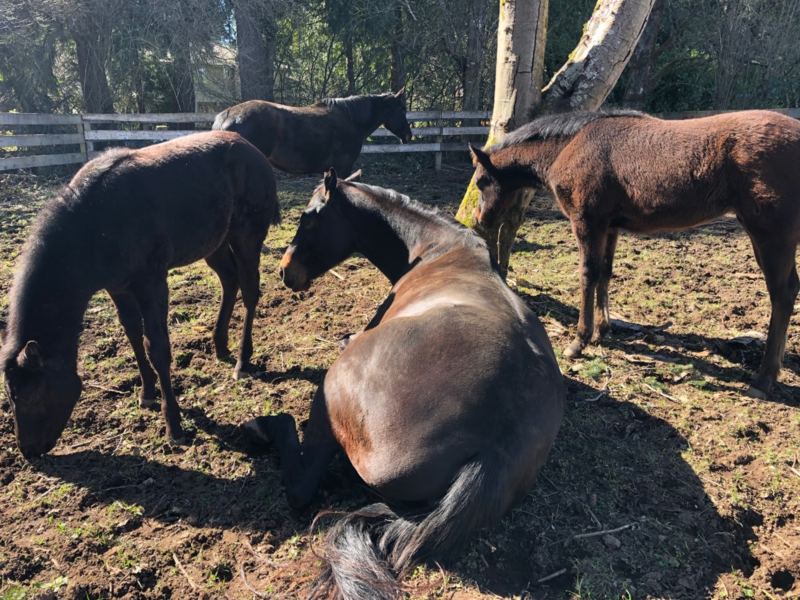 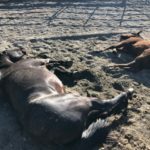 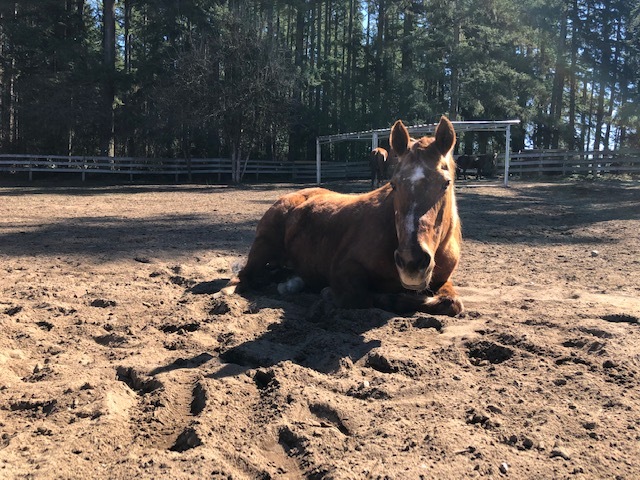 The mares and their fillies spend each day outdoors on the grass. 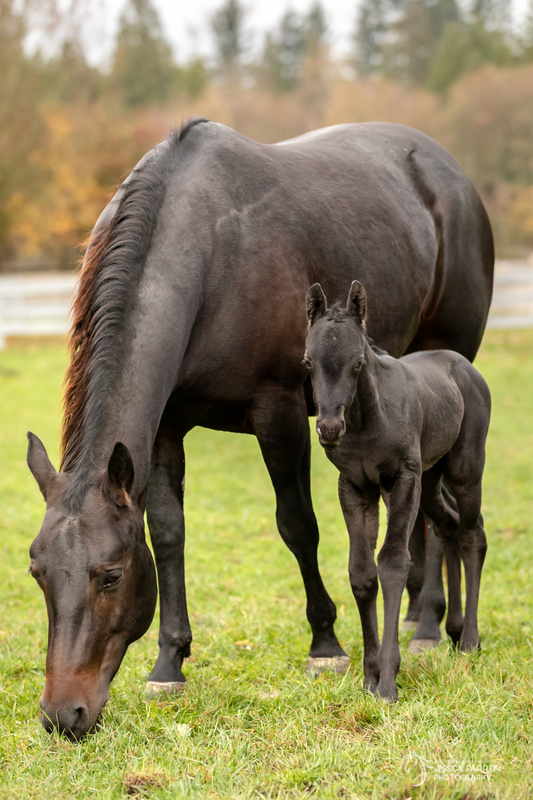 Exactly two months after the birth of Pippi, we welcomed two new lives into the world! 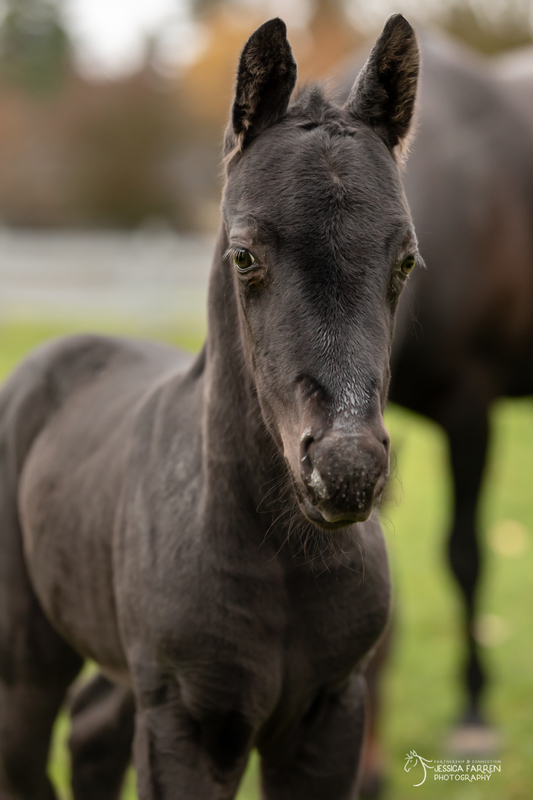 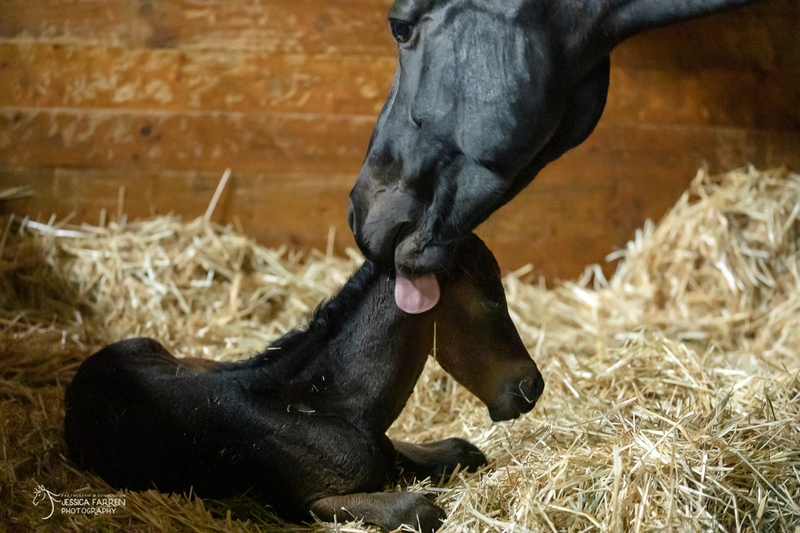 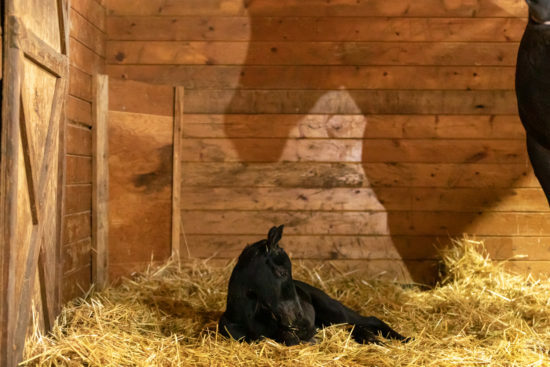 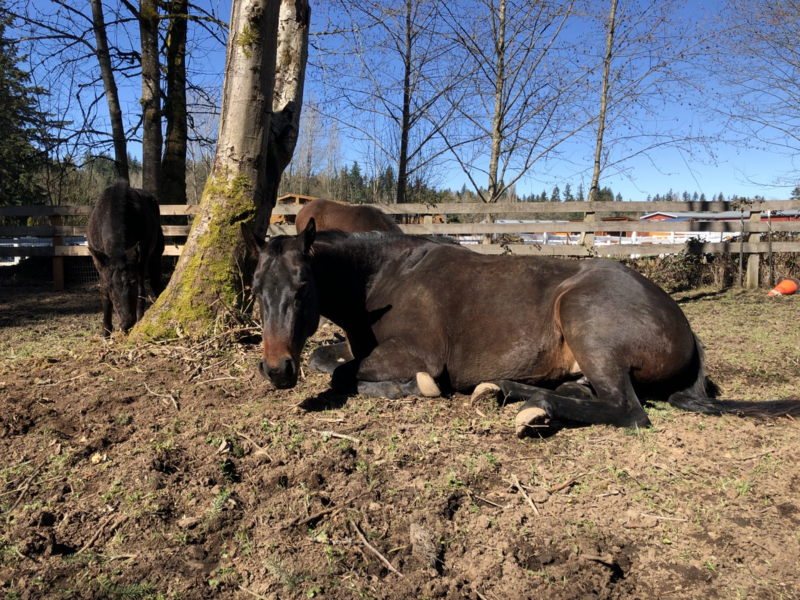 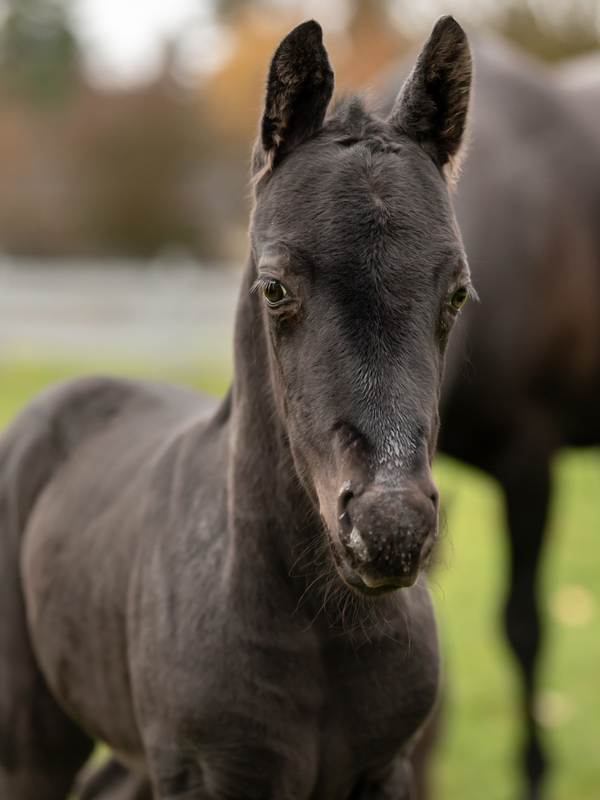 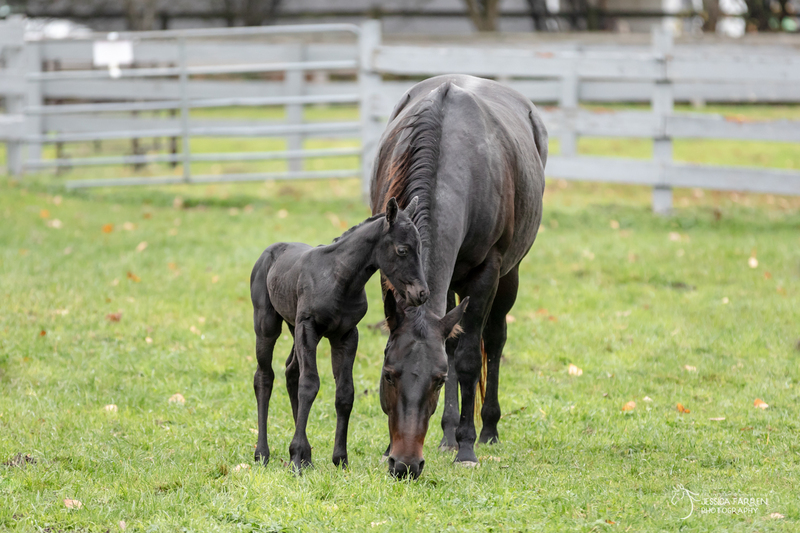 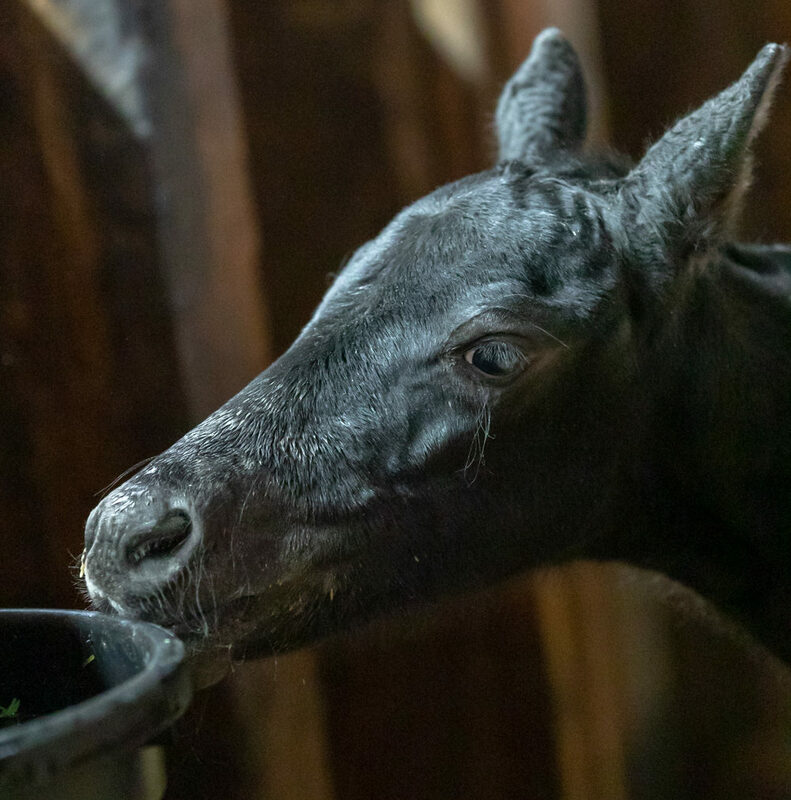 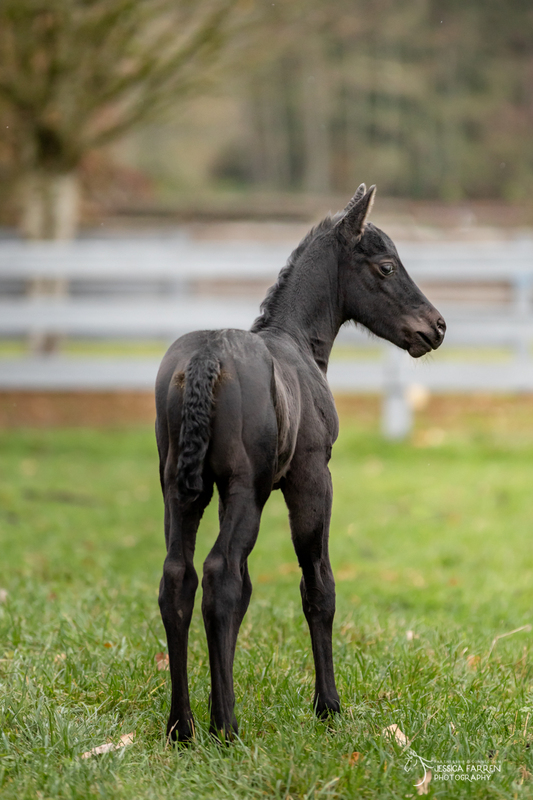 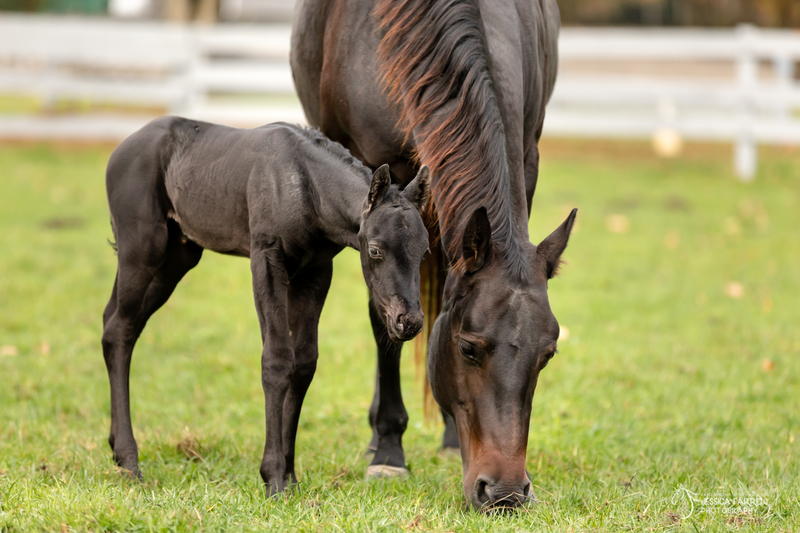 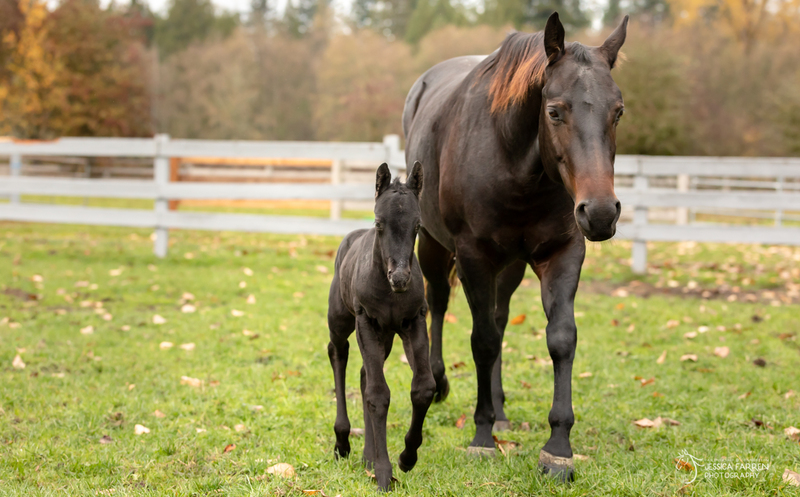 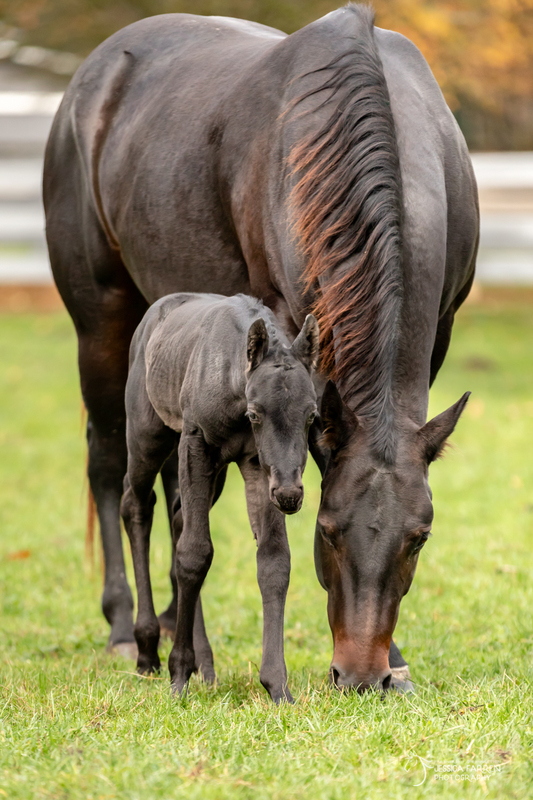 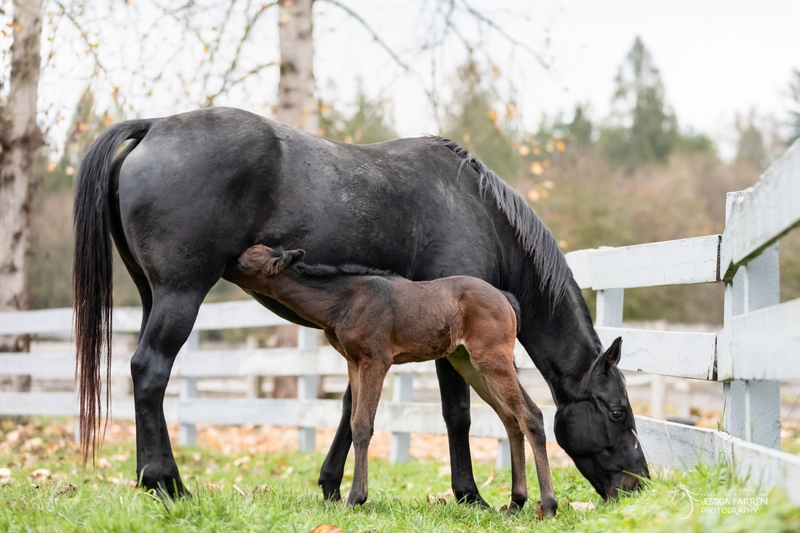 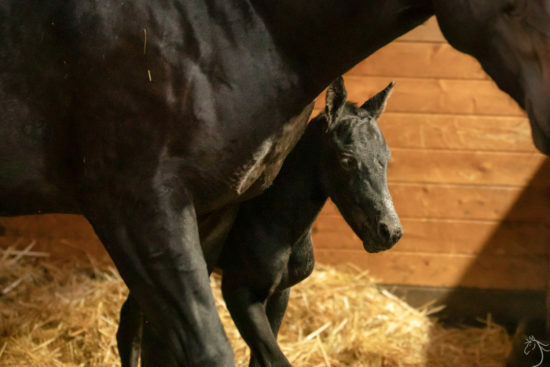 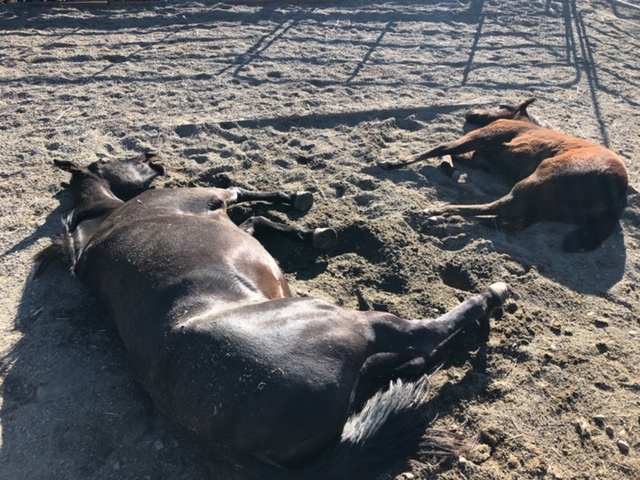 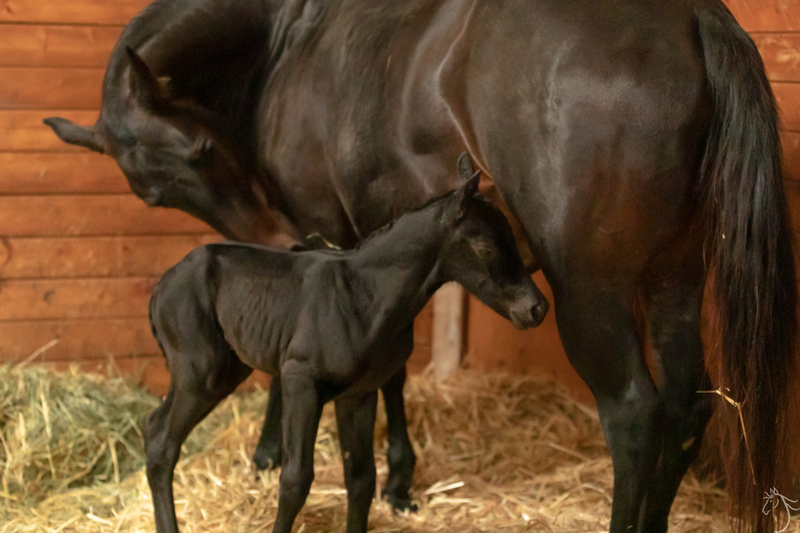 Mina delivered a lovely black filly on November 1, 2018 at 11pm. 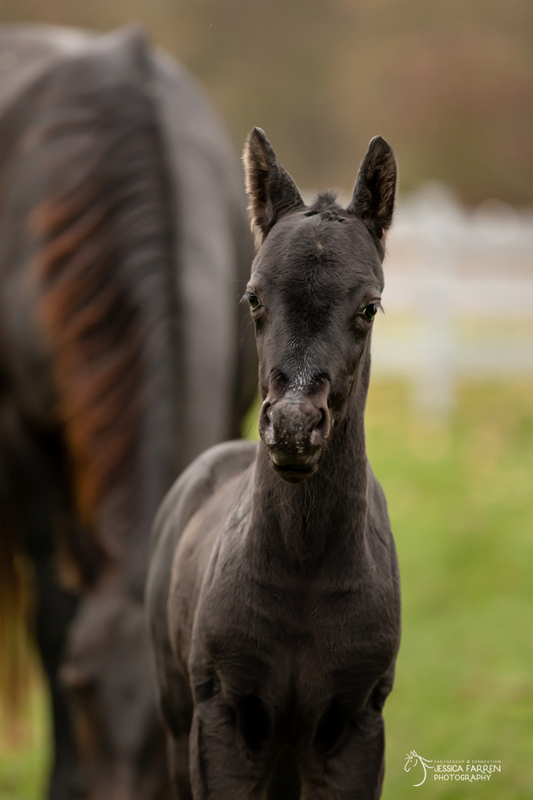 The diminutive little girl with no white markings was christened “Rae” in memory of our dear friend Raven. 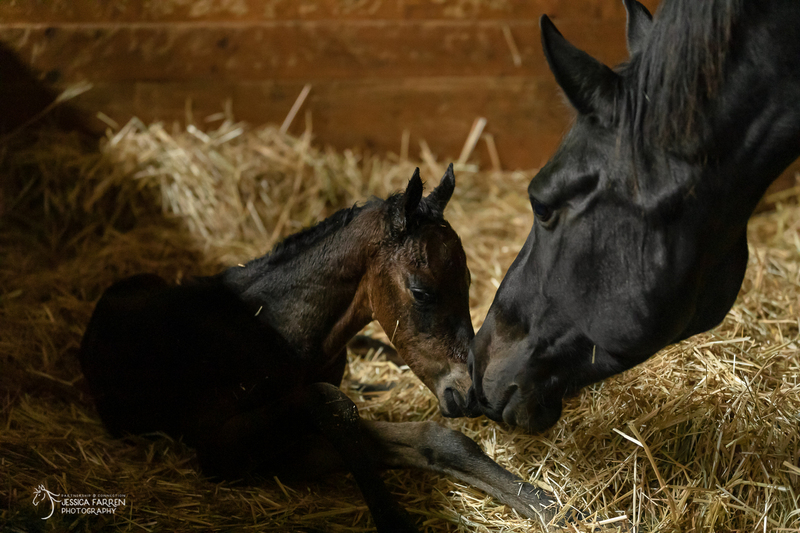 Rae is healthy and full of life, and momma Mina is taking wonderful care of her. 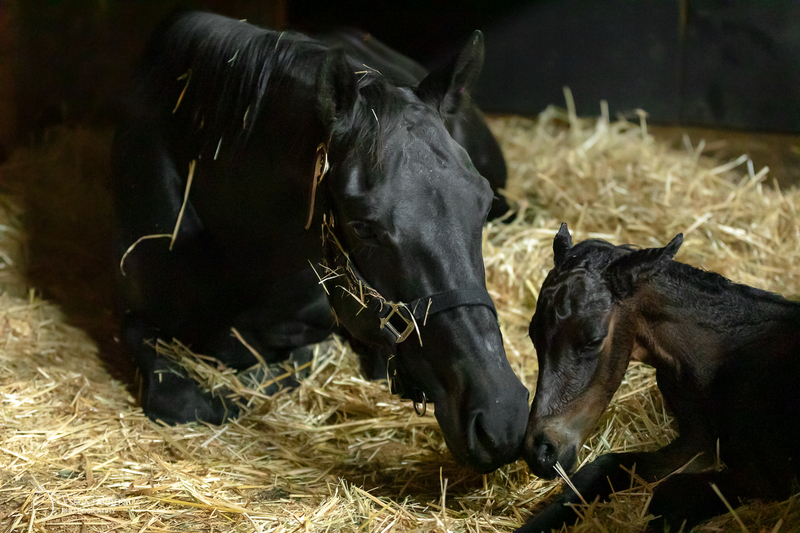 The very next night, Luna decided she was going to follow in her best friend’s footsteps and have her baby too. 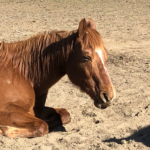 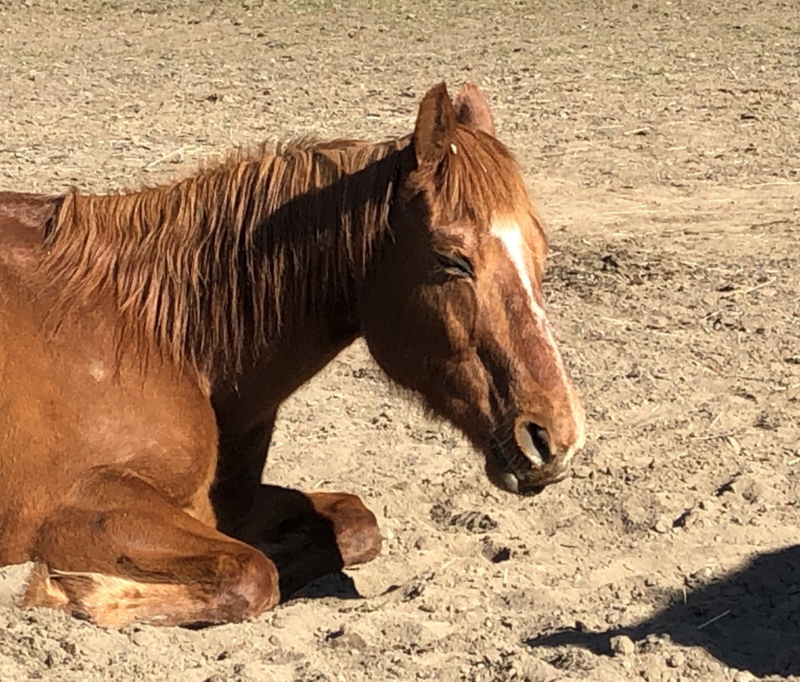 She waited until 2:30am to give birth to a tall strapping bay filly that has been named Nova. The delivery went well, and both mom and baby are healthy. 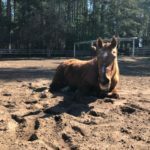 Click here to sponsor Rae!